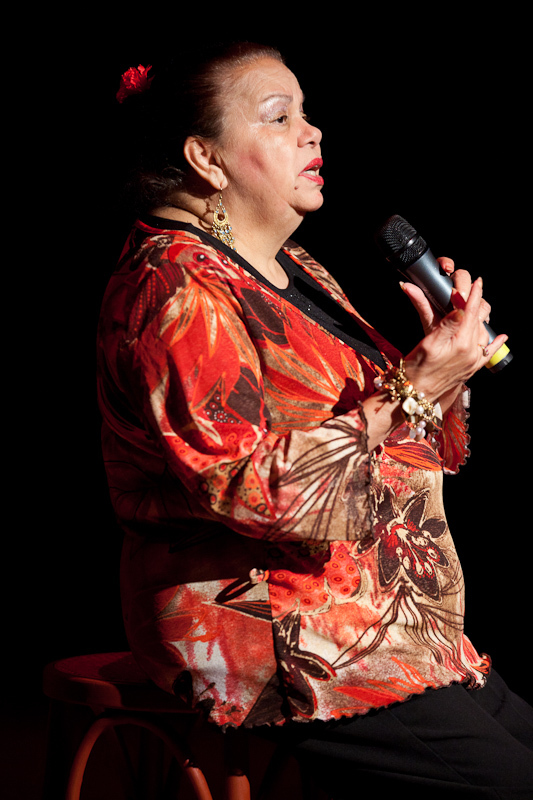 AURIEL ANDREW​​, like her feathered American namesake, was a beautiful songbird who across a five-decade career established herself as the prime interpreter of the Aboriginal country music canon, and though she has now sadly passed away, and although the show will nevertheless continue without a replacement for her (because you could never never replace Auriel Andrew! ), her spirit will ever remain vital to it. Born of an Arrernte mother in Darwin in 1947 and growing up in Alice Springs, Auriel made her professional debut at Coober Pedy in the late 60s, and by the early 70s had moved to Adelaide to become a TV regular on Reg Lindsay’s Country Hour. Her first album Just for You was released in 1971, after which she moved to Sydney and thence Newcastle; she has played highlight shows at the Opera House and for the Pope, and released a total of five albums, in which she has stamped her ownership on standards by legendary Aboriginal songwriters like Bob 'Brown Skin Baby' Randall, Herb Laughton, Jim Ridgeway and others. Only on her most recent album, 2013’s Ghost Gums, did she start to write songs herself, which proved the wait well worth it. She died peacefully in Newcastle on January 2, 2017, and you can read a full tribute here. L.J. HILL is the wild card in the Buried Country pack, a brilliant if underappreciated singer/songwriter whose forays into the world of showbusiness have been sporadic despite having released two classic albums. From the dusty plains of north-western NSW, now based in Armadale, L.J. has Aboriginal, Cherokee and Irish blood in him, and before turning more concertedly to music had been a rodeo rider, footballer, shearer and ‘gentleman of the streets’. His debut album, Inside the Universe, was released in 2002, but it was 2009’s Namoi Mud, produced by Buried Country MD Brendan Gallagher, that made a bigger impact, with one of its centerpiece tracks, the hauntingly sad but beautiful 'Pretty Bird Tree', having recently scored cover versions by Irish singer Pauline Scanlon and none other than Australia’s own Paul Kelly. L.J. is currently working on a new album with Brendan Gallagher. LUKE PEACOCK is a young Brisbane multi-instrumentalist/singer/songwriter with Islander heritage, who has already packed a lot into a thus-far short career. Born in 1984, he was weened off metal in the 90s by Nirvana, but ever since then it’s been an increasingly country road he’s travelled. ‘The Bird’ is a long-standing member of the great Brisbane country-rock band Halfway, Grant McLennan Prize-winners who have just released their (Nashville-cut) fifth album, and in 2014 he launched his Vic Simms/Loner tribute project the Painted Ladies, which yielded a great album on Plus One Records plus a trail of memorable gigs. 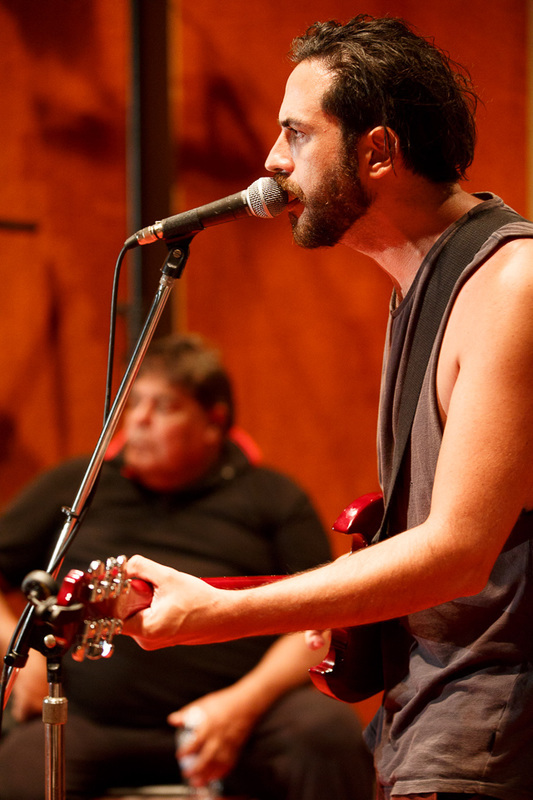 He released his own first solo album We’ve Come a Long Way Darling in 2016, and went on to win Arts Queensland’s prestigious Billy Thorpe Scholarship. He is currently touring with Halfway, writing new songs with Vic Simms and working on his solo material. Go to the Painted Ladies' website here, and Luke's Plus One Records page here. 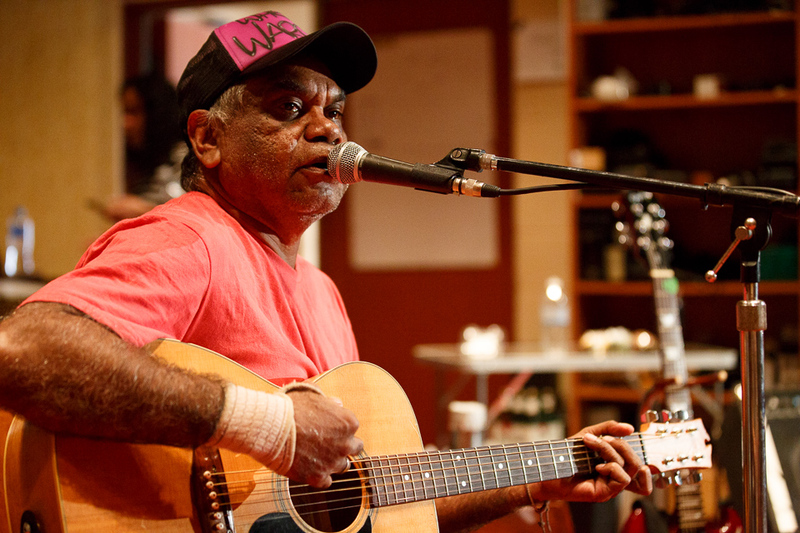 WARREN H. WILLIAMS is central-desert country royalty, an Arrernte man who, after starting out as barely a teenager in his father Gus Williams’ band in Alice Springs in the 1970s, has carved out a career for himself based on authenticity, integrity and just simply great songs, singing and playing. 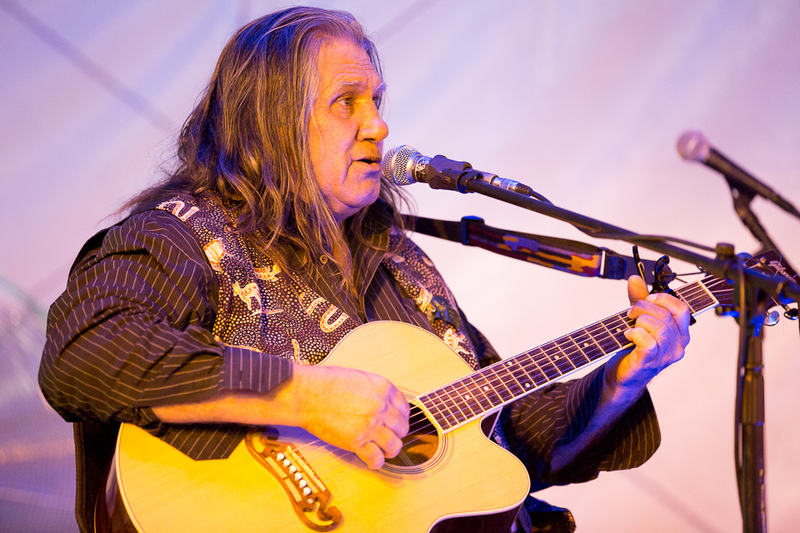 Born at Hermannsburg in 1963, he played on all his father’s five original albums through the 80s, and since 1995 has released a string of fine solo albums, including his debut Western Wind, and Country Friends and Me, which featured the hit duet with John Williamson, 'Raining on the Rock'. He is a long-serving radio DJ at CAAMA in the Alice, has won too many awards to mention, has run for office as a ‘black Green’ - he is a force of nature, no less! 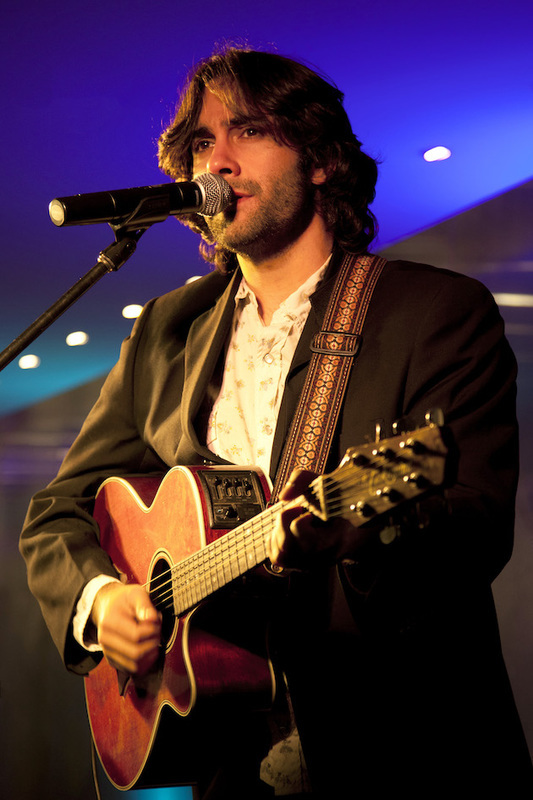 - and he has just released a new album, Desert Water, of duets recorded in Nashville with the up-and-coming Dani Young. For a bit more go to ABC Music here. ​LEAH FLANAGAN has the three ‘I’s in her blood – Indigenous, Irish and Italian – and it’s this harmonious blend of music, storytelling and spirit that’s propelled her successful career. Hailing from Darwin, she was busking at Parap markets even before she hit her teens, and eventually she went to the Elder Conservatorium in Adelaide to study classical music. 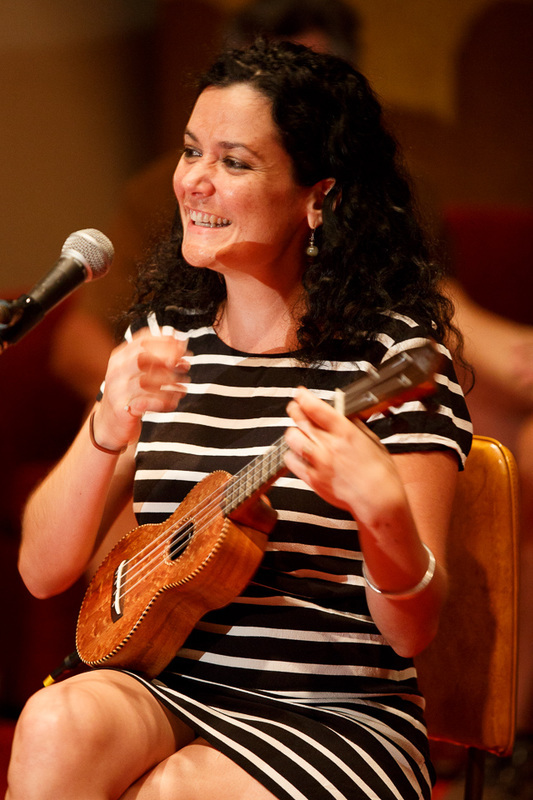 But preferring her ukulele to the opera, she embarked on a solo career, and since releasing her debut album Nirvana Nights in 2010 and then moving to Sydney, she has been in constant demand, working on her own material and as a part-time member of the Black Arm Band, collaborating with the likes of Liz Stringer, Archie Roach, Marlon James and Sam Wagan-Watson, and appearing in theatrical shows like Seven Songs to Leave Behind, Midnight Muses and Leonard Bernstein’s MASS. With producer Jim Moginie (ex-Midnight Oil), she has just completed work on a long-awaited second album called Saudades. Visit her website here. ​FRANNY PETERS-LITTLE is the daughter of the late, great Jimmy Little, a Kamilaroi/Uralarai woman born in Sydney in 1958, an event celebrated on the B-Side of Jimmy’s seventh single, in the song 'Frances Claire'. 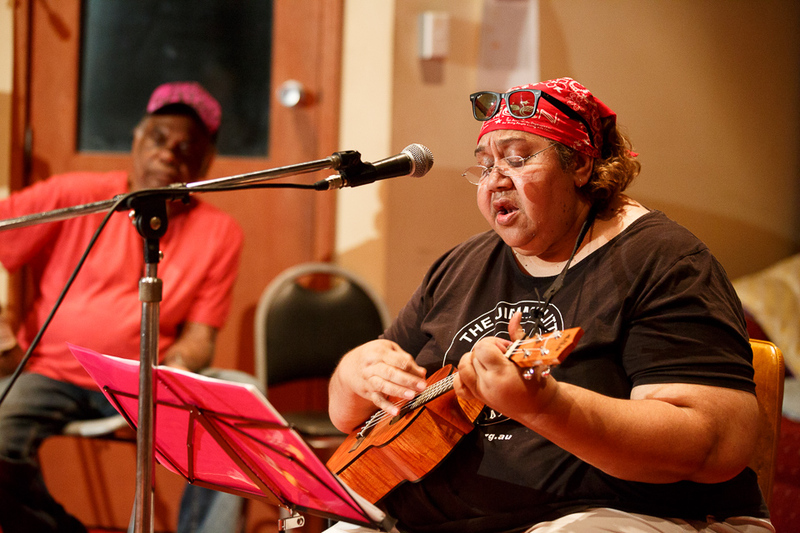 Franny was determined from the first to carve out her own identity regardless of her famous name, and indeed, even as she always sang and also appeared at political events, she has done just that. Franny is an author and historian who has edited a number of books and produced a score of documentaries for the ABC and SBS TV including most notably Tent Embassy and Vote Yes for Aborigines. These days she continues to write and is the CEO of the Jimmy Little Foundation. To see the transcript of an ABC radio Message Stick story on Franny and her family go here. 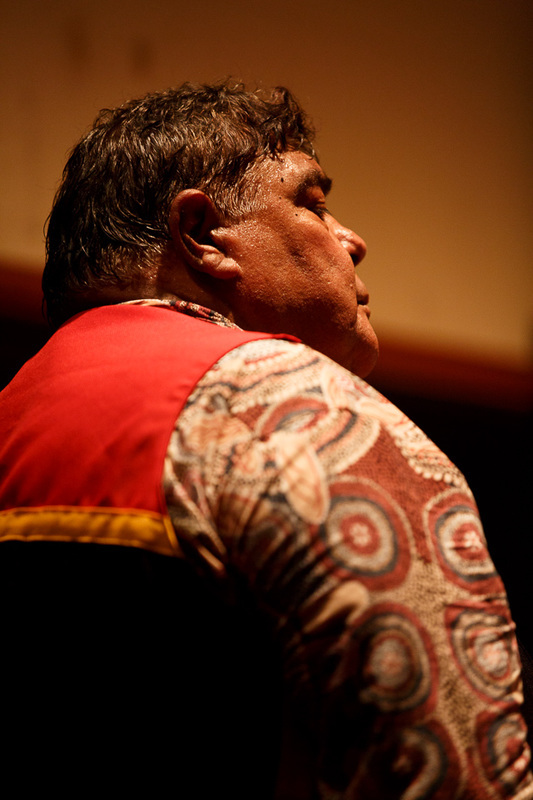 ROGER KNOX started his ascent as a solo star in the 1980s, and as Troy Cassar-Daley says, “He was slick, he sang deadly and just had so much charisma you couldn’t help but like him.” Born in Moree in 1948, Roger grew up on the Toomelah Aboriginal Mission on the NSW/Queensland border, and when he was just 17, following his dream of becoming a boxer, he moved to Tamworth. Destiny conspired and following early gigs at Joe McGuire's pub, Roger found himself touring with the late Brian Young. After going in down in not one but two plane crashes in one day in 1981, he returned to Toomelah. This journey took Roger to the heart of his wounded spirit, his Gomeroi culture offering healing for both his mind and badly burnt body. Following the release of his first album Give It a Go in 1983, Roger joined rebels Vic Simms and the late Bobby McLeod playing prisons across Australia, North America and Canada. In 2009, Roger joined forces with Chicago-based artist Jon Langford and the result was the album Stranger in My Land, released on the Bloodshot label in 2013. This has seen Roger once more touring the US and Canada to rave reviews. He is currently working on his sixth album. Go to his website here. JAMES HENRY is a Melbourne-based photographer and musician, born in Sydney in 1979. The grandson of the late, great Jimmy Little, James was always determined to be his own man, and he has done just that as a successful photographer. But music is in his blood and as well as playing occasional gigs singing the sort of country songs he grew up with, he is also a home-studio producer of his own electronic tracks. He sees Buried Country as an opportunity to pay fitting public tribute to his grandfather and the tradition in which his whole family is steeped. Go to his Soundcloud page here.